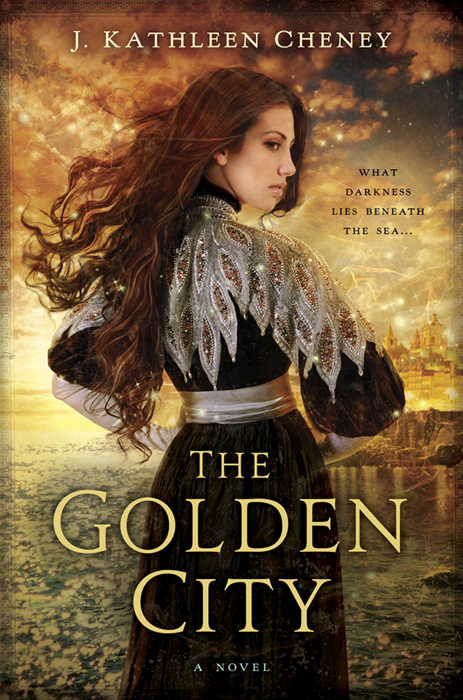 J. Kathleen Cheney’s debut fantasy novel THE GOLDEN CITY debuted yesterday to wonderful reviews (see below) and much fanfare. She’s here today with a little insight into what it took to get there! Yes, we’ve all heard that saying–that a writer must be willing to give up that one sentence, idea, or plot point that they loved…for the greater good of their work. When I was in second grade, my teacher, Miss Baeza, wanted to send one of my stories to Highlights to see if they would publish it. Even then, I knew this was a Big Deal. But there was a catch; she wanted me to change the ending. In my story, a group of animals escape the zoo, only to end up being magically trapped as the animals in a carousel. My teacher wanted a happy ending. But in my second-grade wisdom, I felt that mine was the correct ending. I hid the story in my father’s file cabinet and told her I couldn’t find it. This, by the way, became the truth because I never did see that story again. Now fast forward lots of years and I’m a professional writer. (I have paperwork from both RWA and SFWA that say I am, so I know it’s true.) At a workshop a few years ago, I learned a very important phrase from author Steven Savile: I can do that. If you’re seeking traditional publication, that’s a useful sentence. If your agent makes a suggestion, if your editor makes a suggestion, if your publisher makes a suggestion, they have a reason for doing so. So when my agent or editor suggests I change something, I listen. Then I usually say: I can do that. Admittedly, I still go and hide my manuscript in the metaphorical file cabinet and sulk for a few hours. How could they not appreciate my untrammeled genius??? But because I’m not in second grade any longer, the next morning I get that manuscript back out and start analyzing their suggestions. No, I don’t slavishly obey those suggestions. The book I just turned back in to my editor? I had some changes I considered but, for one reason or another, they didn’t work for me. My editor will look at my edits and decide whether to press me on those things again or let it drop. It is a give and take relationship. Editors have given me some pretty awesome ideas. My editor for “Iron Shoes” asked for me to add another scene with interaction between my heroine and the villain. Once I’d wrapped my mind around it, not only did I get to add another historical character, I also found a chance to slip in some very pertinent plot information. My editor for “The Golden City” suggested a huge change at one point, making one character not as villainous as I’d previously thought him. Figuring out the logic behind that alteration opened up new avenues for me to explore in this setting, and it made that world more realistic. So I’ve learned to be open to changes. The truth is that a traditionally published book isn’t just mine. There’s a team involved in producing the book. There’s an agent who sold it, editors who’ve picked over every word, an art department that has produced a beautiful cover, a sales department, a publicity department…well, I could probably list more. But if you’re hunting traditional publication, cooperation is a good thing. If I’d known that in second grade, I might have been published decades ago! What awesome advice! Wow. That is such a great little story about your teacher wanting to send in your work for publication at such an early age! And yup. Editors and agents most definitely have a purpose behind their suggestions. Heck, even CPs do. Excellent reminder. While I see your point and definitely agree about the collaborative work that goes on (and how being open to suggestions can improve a work) I have to say… I’m with your second-grade self on the short story! Sounds like it was an awesome ending to a creative tale, I’d like to read it. As you did mention in your article later – sometimes you have to go with your gut.